Barring a few appalling errors in physical science (see regrets below), this is a fairly good Second Doctor episode. The setting is a future Earth under a man-made ice age as outposts desperately fight back the advancing glaciers. 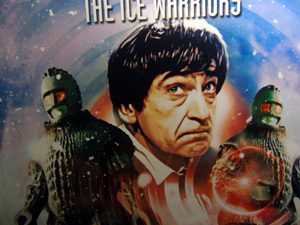 The main conflict involves the introduction of the Ice Warriors, one of the most iconic and lasting monsters introduced in the Troughton era, who have been found and revived in the ice. They’re a little difficult to understand with their whispered hissing, but their costumes are quite impressive and imposing. 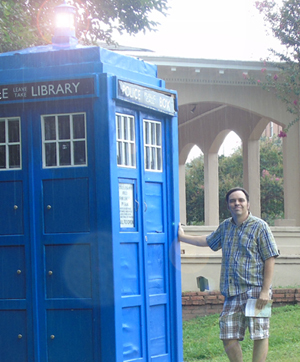 (Even to the Doctor who gives a great double take upon seeing them!) More than just lumbering reptile giants, they are also shown to be good military strategists. Unfortunately, they also can’t seem to trust that humankind doesn’t want to harm them and thus treat every action as a threat to be countered, a decision which leads to their destruction. On a second level, there is a lot of personality conflict that drives the story. Many of the decisions leader Clent makes are based on his ego and there’s a lot of tension when this comes to light. He ignores dangers just to preserve his status and seems totally unwilling to make a decision against computer directives for fear of losing his reputation. He is criticized as having “a printed circuit where his heart should be.” He is given a few humanizing moments so as not to be entirely unlikeable, and his spectacular arguments with his rival Penley show some genuine fervency in his sense of mission. (“Don’t you spit your stupid liberty in my face, Penley. We know your kind of freedom – freedom to run away – from responsibilities, from service, from moral judgment. I may be a physical coward, Penley. You’re a coward in the mind.”) In the end, however, it’s clear that his unthinking adherence to program is a failure and endangers their lives. As Penley points out, “This is a decision for a man to take, not a machine. The computer isn’t designed to take risks, but that is the essence of mans progress. We must decide.” Clent caves in and has to ashamedly admit he can’t make a decision on his own, yet in the end he seems a better person for it. Their conflict highlights a theme which runs throughout the story, the idea that too much reliance upon computers has brought disaster on mankind. While the casual dismissal of computers as ‘silly things’ is a sixties concept that’s a bit archaic nowadays (nobody is going to start doing all their calculations on paper), the underlying idea—that allegiance to “the great world computer” to make all decisions has sucked away the soul of humanity and its ability to deal with problems—is still a good one. The drive for perfection having led to the current crisis, many in society have rejected scientific advancement all together. This concept is embodied in the strange character of Skorr. He is one of a segment of society labeled “scavengers” or as they call themselves “loyalists” (presumably loyal to the earth or humankind) who eschew the modernization of artificial food and computerized planning that have inadvertently caused this ice age and instead seek to live as old off the land and without machines. Unfortunately, his character comes off a little too loony to make much sense. He seems such a wild man that it’s kind of hard to believe that he’s from the same civilization as the others. A better representative of the movement is Penley, a scientist who has rejected his role in the great society for the same reasons. (“I chose it because I refuse to be sucked into that computerized ant-heap you call a civilization.”) Despite trading sarcastic barbs with Storr, there is an underlying friendship and bond of respect that is portrayed very well between these two characters. As for the regulars, the Doctor has some great moments from the start—breezing into the control room and solving the problem before anyone even realizes he’s even there, pretending to be panicked by the test he is given only to cooly come up with the answer at the last second with a smirk that shows he really knew all along. There’s some amusing teasing between Jamie and Victoria when he boyishly needles her Victorian era prudishness asking if she’d taken notice of the tight body suits worn by the female station crew. There’s also a great line when Victoria surprisingly knows that ammonium sulphide is nothing more than a stink bomb and the Doctor replies with an eye roll that she’s obviously “had the benefits of a classical education.” Unfortunately, poor Victoria suffers more terrifying abuse as a hostage and thus begins to lose her endearing confidence. The story ends with Clent and Penley realizing the trio have disappeared back to the TARDIS as there is a great camera pan across the wrecked control room. Poor simple Storr. You just feel so bad for him as he comes to the Ice Warriors expecting friendship from a common dislike for the base scientists. As he proudly emphasizes how he knows nothing of science or the base’s operations, you want to yell, “No, don’t say that!” as he is totally oblivious to the Ice Warriors evaluation of his worth. His shock when they suddenly say they are going to kill him is sad.